A few years ago I was working with a trainer at the gym. He had approached me one day – giving me guidance on using a machine to maximize the benefit of my workout. His way was much harder and so I told him “No thanks” to his suggestion…I wanted to do it my easy, non effective, way. That was the beginning of a great friendship and partnership. He laughed at my rejection of his suggestion and I laughed at myself too. I was just coming back the gym after a 4 year long hiatus and 40 pound weight gain. I did not want to do some exercise that would make my reentry that much harder. As much as I said “NO Thanks” initially – he was perfect for me and I signed up to work with him for the next couple years. I lost 22 pounds in the first 3 months I worked with him – and I would have continued doing well if I had been able to maintain my 5am appointments 3-4 times a week….I called in (texted in) tired more days than I showed up. The guy drove 90 minutes to be at the gym at 5 am and I kept bailing on my appointments with him. I give him so much credit – he never gave up on me – but I gave up on me. I was not able to sleep well most nights – so getting up at 4:30 am was becoming impossible. I couldn’t go to sleep at 2 am and get up at 4:30 am to do a workout…it was just too much. I had to work during the day so I tried to make my workouts before work – so nothing would interrupt my workouts – but I was setting myself up for failure. Over the next couple years I showed up about 30% of the time and had a health issue with vertigo that stalled me for some time too…however my time and my money were well spent on my training sessions. He ALWAYS showed up for me, even though I didn’t always show up for me. This kind of support is priceless. This kind of dedication is priceless. Whenever I did show up for me – it was always a gift to feel like I got a good workout. We were able to easily talk about day to day things to keep my mind off the repetitive exercises and to make the workout hour go by more easily. I had never done the elliptical machine before working with him – but after working with him I was able to do 45+ minutes on an elliptical trainer. I was shocked. He made hard things easy for me. I will forever be grateful. He kept me laughing too. Who laughs while they are working out? Not many people. But I did. We couldn’t control our laughing when one of the other trainers had this older lady client come to her training session in a Tutu. This all happened in the early morning hours of 5 am at the gym. Where else can one get such priceless entertainment at 5 am. 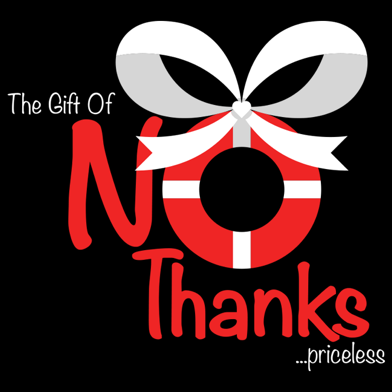 NO Thanks to gym tutus…priceless.